Middlesbrough offers the visitor so much to see and do. 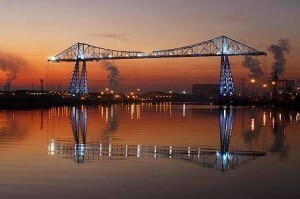 Marvel at the engineering magnificence of the Tees Transporter Bridge and Visitor Centre dominating the skyline. Explore the fascinating Dorman Museum with eight galleries offering something for all ages. Maybe visit the awe inspiring Temenos sculpture, standing almost 50m high and 120m long it really is a must see. Middlesbrough offers a superb range of attractions to suit all ages and interests from beautiful theatres, to tranquil parks and lakes combined with a varied range of shopping, dining and nightlife. It’s also a wonderful place for the hog roast Middlesbrough. Supplying the people of Middlesbrough for over ten years, hog roast Middlesbrough makes the ideal choice when it comes to providing quality, reasonably priced food for any event. Whether you’re hosting a wedding, birthday party, family reunion, charity function, corporate event or in fact any kind of event or party, then this mouth watering solution makes the ideal choice. Hog roast Middlesbrough can cater for any size of event. From five to 500, the choice really is yours. Our company can supply all the food, equipment and impressive marquees for any occasion. Hiring a hog roast means complete peace of mind. Our professional team are fully experienced and completely reliable. They’re on hand to answer any questions, suggest suitable venues and offer solutions. All our equipment is of the highest quality to guarantee perfect results every time. Simply fire up the hog roast, sit back and enjoy your own event just as much as your guests! Slow cooked roasts ensure the tastiest melt in the mouth tender meats and the most delicious crispy crackling to crunch and enjoy. 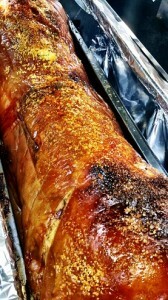 When it comes to a hog roast, it’s not just pork either! The Middlesbrough hog roast company can supply beef, lamb, chicken, turkey, fish and a superb range of accompaniments such as sauces, salads, breads and more. Even down to the cutlery, plates, napkins and more, the choice is completely yours. You may wish to opt for our very popular hog roast buffet, where an exciting selection of quality meats, breads, salads, sauces, desserts and drinks are all on hand for your guests to pick and choose as they like. The hog roast Middlesbrough buffet offers the perfect solution when hosting a large event where guests have different tastes and diets to cater for. It really is your event and our experienced hog roast company can cater as little or as much as you wish to ensure your event runs like clockwork. Every event we cater is different and we pride ourselves on offering a bespoke service to our customers. At the hog roast Middlesbrough all our meats are ethically and locally sourced. We choose only the freshest meats and produce from quality local suppliers throughout the Middlesbrough area. Our dedicated team are professional, friendly and reliable and able to answer any questions you may have. Why not contact us today to discuss your hog roast event ideas and ask for a no obligation quotation for your next party? It couldn’t be a simpler or tastier catering solution!